As I predicted (ok, read in the forecast!) it chucked it down last night! It started pretty much as soon as I got into my sleeping bag. Still, I slept really well and was up at 7. 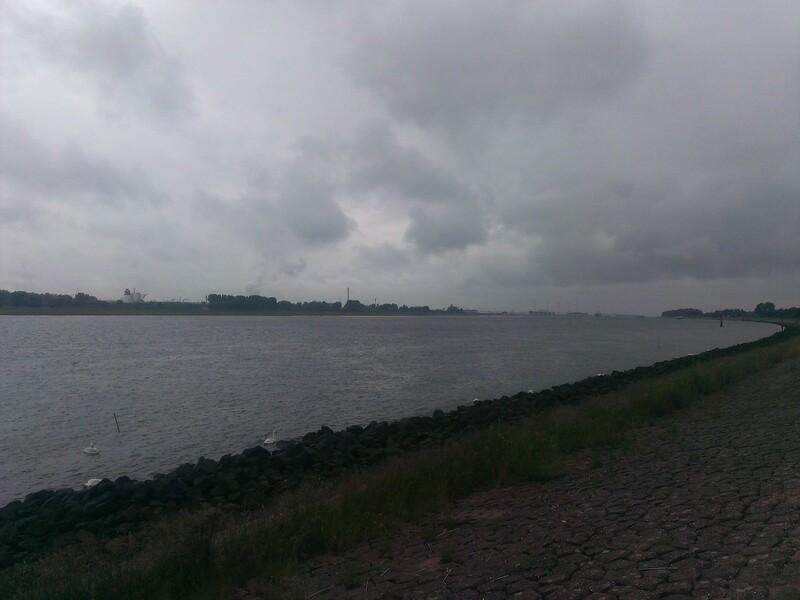 As it was still raining, there was no faffing and I was all wrapped up and pedaling by just after 8. 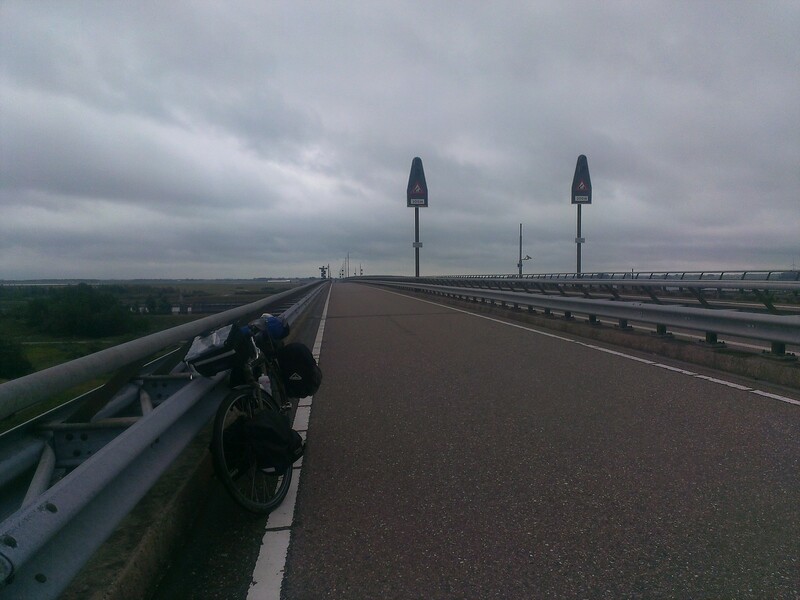 I got my head down for the 15 or so miles to the Dutch border. 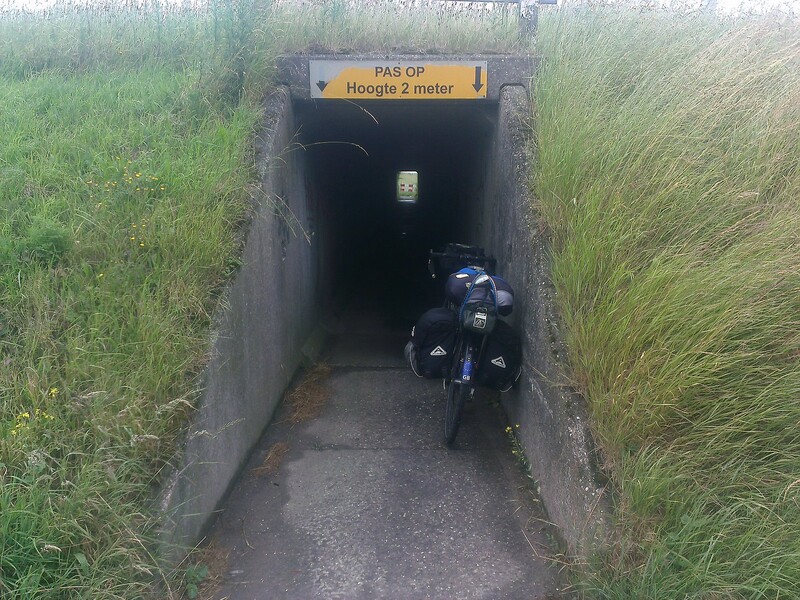 This was really easy as the cycle path just ran along side the main road. 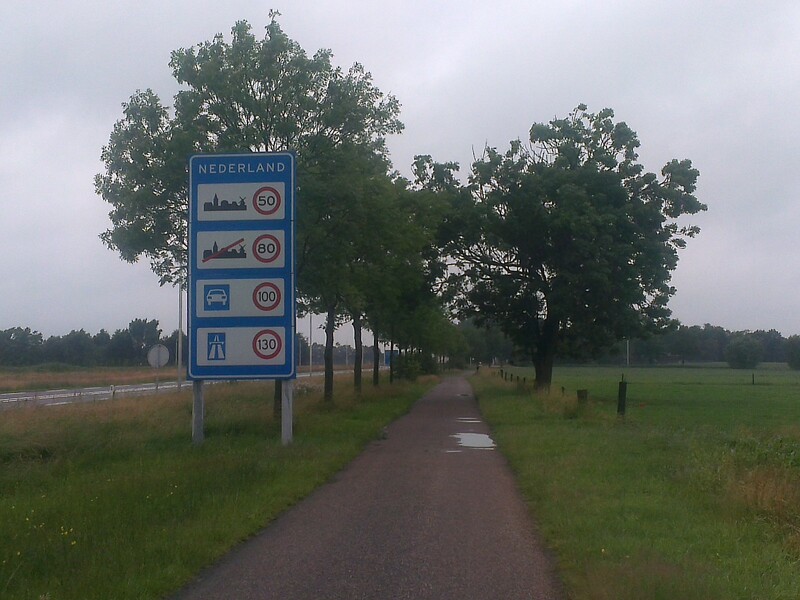 Having experienced Dutch cycle routes in the past, I was a little nervous as I passed the sign welcoming me to Nederland. 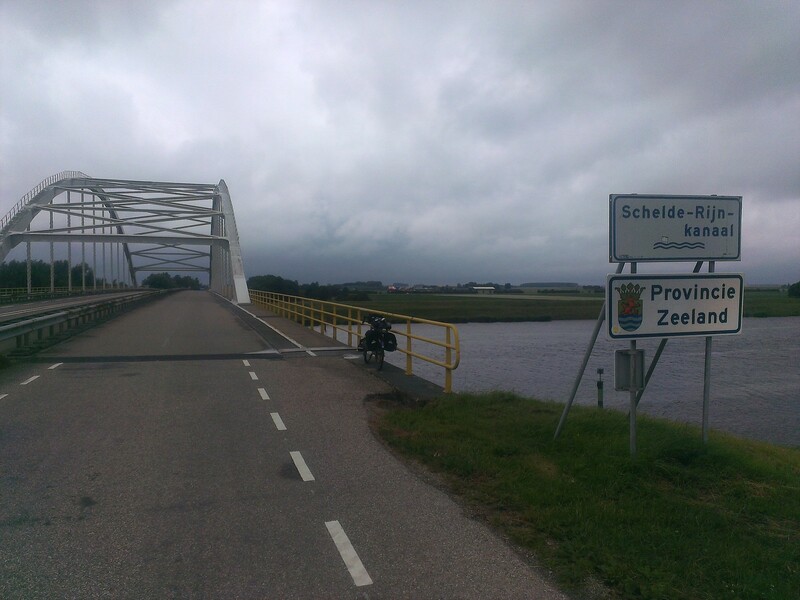 Everyone bangs on about cycling in the Netherlands, but my problem is this: you cannot cycle on the road if a cycle route exists. They nearly always do, but they rarely follow the road - they take you all over the place. Then suddenly you've got about 4 options as the path splits and there are very few meaningful signs. An arrow with a picture of a bike next to it is not much help if you don't know where it is going! 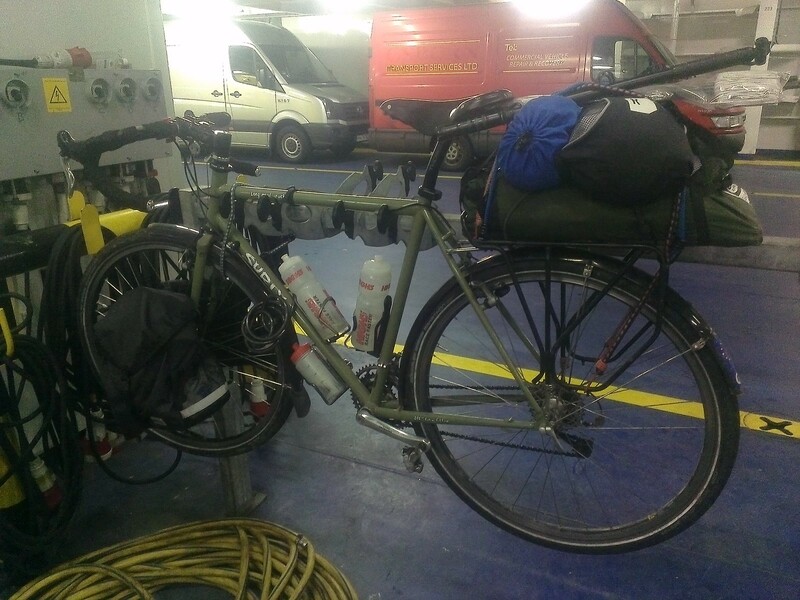 Subsequently, for every 10 miles you would have done on the road, you end up doing about 14. More as you inevitably get lost. I won't moan too much more about that, but it was a problem all day long! 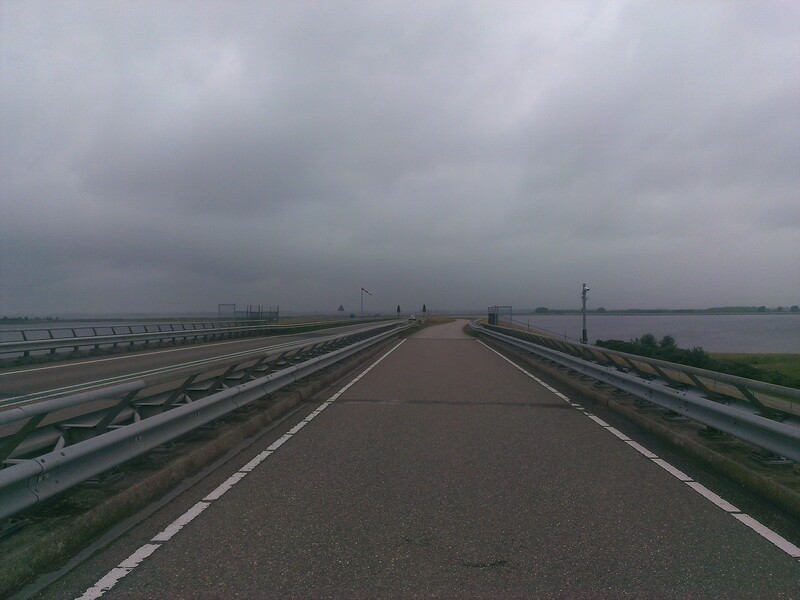 Once I started getting towards the coast, things were looking up and it even stopped raining! It really is a fascinating part of the world. 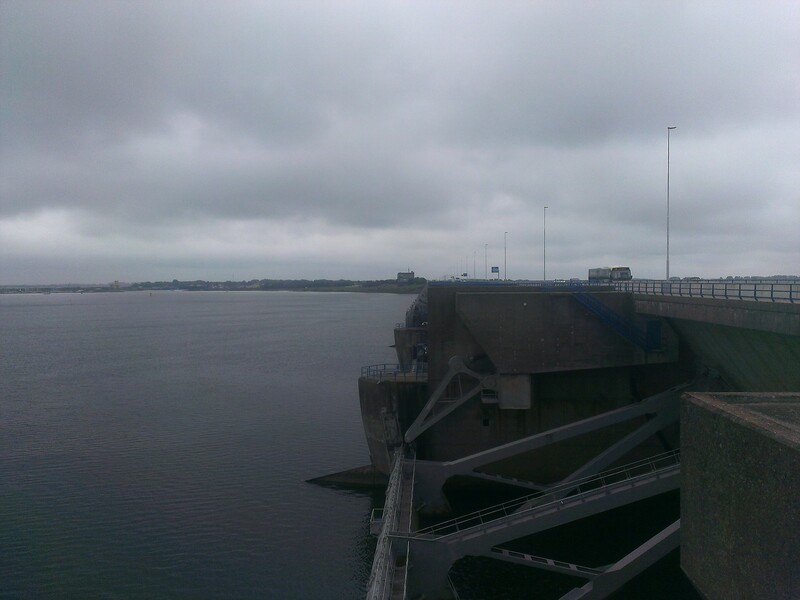 All the flood protection and an almost entirely man made environment. In places the signs improved, so I could at least make some good progress. The wind was a real problem and I was crawling along at times. Quite often not entirely the right direction due to the stupid cycle paths going off in random directions. 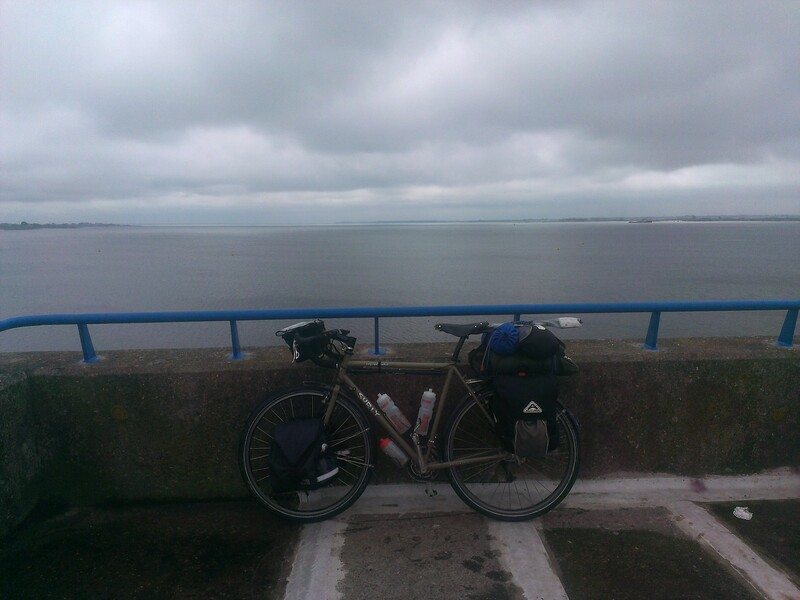 I finally hit familiar territory as I hit the North sea cycle route. 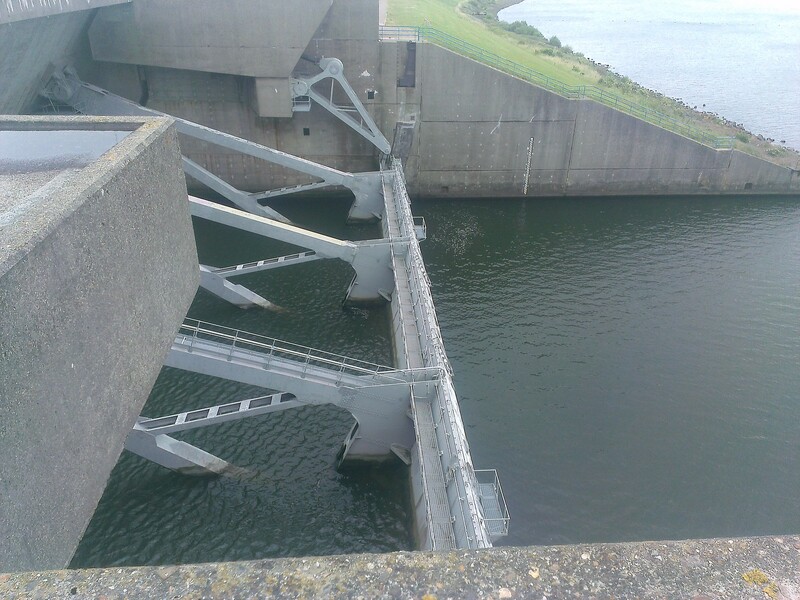 I'd forgotten how convoluted it is, but I can't really blame the route planners, as there are bodies of water all over the place that need to be crossed. I remembered that there is a little ferry that takes you across the last bit of water before you have a clean run up to the port. 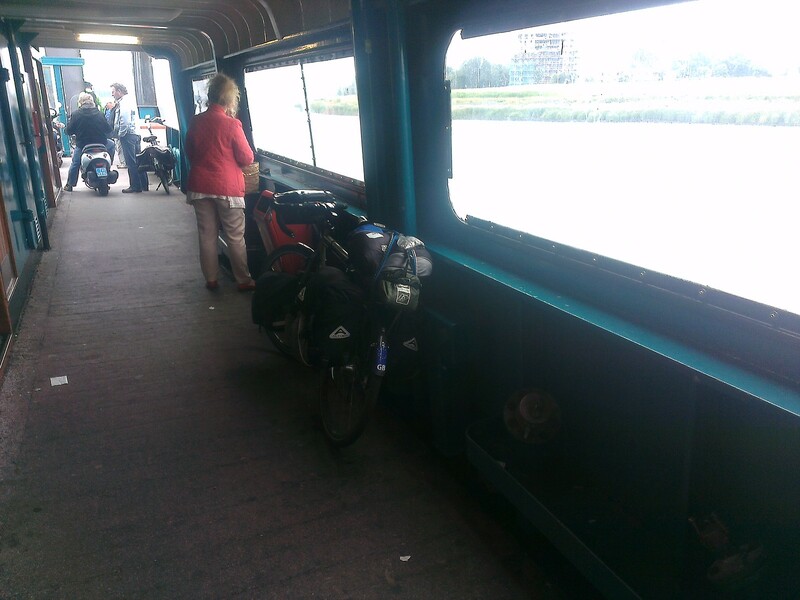 I arrived at the ferry about 30 seconds before it left, so just got on! It's only a short crossing, so it wouldn't have been too bad if I missed it. 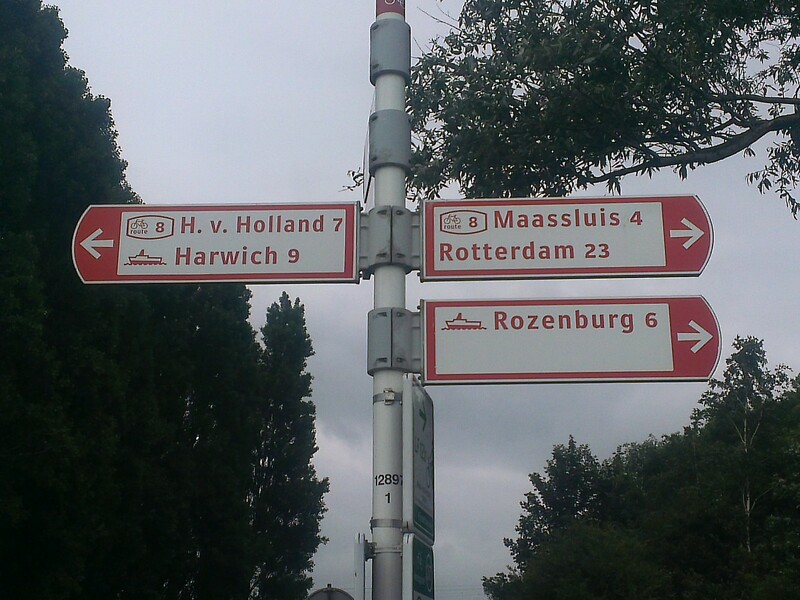 When I got off, I saw the sign for Hoek van Holland - the first time it had been signed! I must have looked a bit confused (I think it was more shock that I'd actually seen a sign!) as I heard a voice behind me saying "Can I help you?" 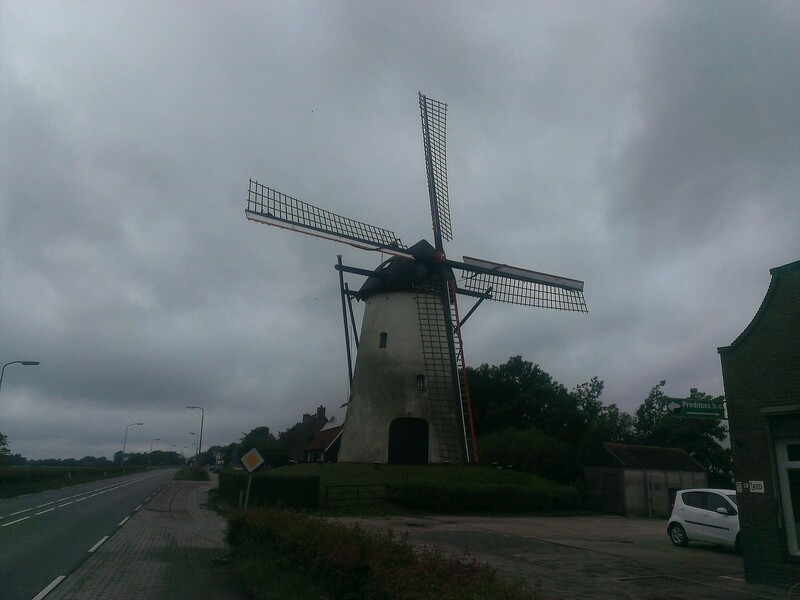 I said I was going to Hoek and a very nice Dutch lady said "Follow me!" So off we went along the path and it was really nice to have somebody to chat too. She asked about my trip and all that sort of stuff and then she waved me on my way as she turned off to go wherever she was going. 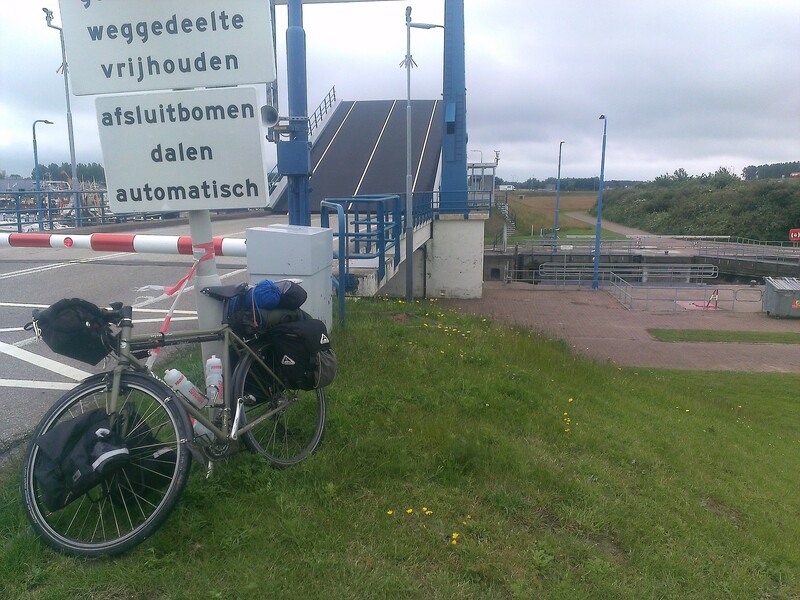 I followed the path along the waterweg and soon arrived at the terminal. I checked in, got my ticket printed out and waited to get on the ferry. 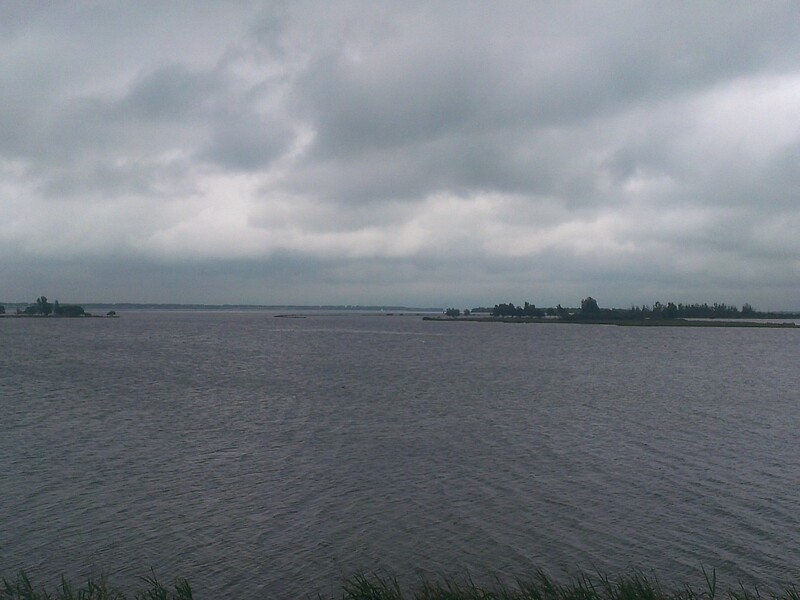 And that's where I am now. On arrival at my cabin I had the worlds longest shower and then watched Andy Murray win on the tv in my room! I shall now go and have a look around and get something to eat. I shall also upload today's pics if the WiFi plays ball. Right, pics will have to wait until tomorrow - I'm off to bed! I have done 2072.13 miles. Still got tomorrow too! Glad you're nearly home. That Murray match was heartstopping. I can do without that kind of tension on a Wednesday! Well done, brilliant achievement....we have really enjoyed following your blog. The next comment is gunna be the shortest comment yet! Where has the food gone then?!!!!!!!!! Just seen Cav get his first stage win. Also saw Murray win. Well done on your fantastic trip - its been great being able to catch up with all the news of your travels on the blog. Looking forward to seeing you tomorrow - sorry that I will probably still be out when you arrive. Well done mate! Will really miss my daily blog fix when you're done!